Garmin GPSMAP 527xs has an average rating of 4.67 out of 5 based on 3 user reviews. The Garmin GPSMAP 527xs offers a super-fast 10 Hz GPS/GLONASS receiver that refreshes heading position as many as ten times each second. It displays a fluid and constant position on the screen and is amazingly accurate when navigating and marking waypoints. The Garmin GPSMAP 527xs also permits sonar recording in addition to its advanced integrated Echo HD-ID sonar. This feature coordinates the position of the angler’s boat with the timing of the sonar return. Therefore, all of the 5,000 available waypoints will be precise and accurate. This is absolutely necessary to pinpoint and locate the next hot fishing location. 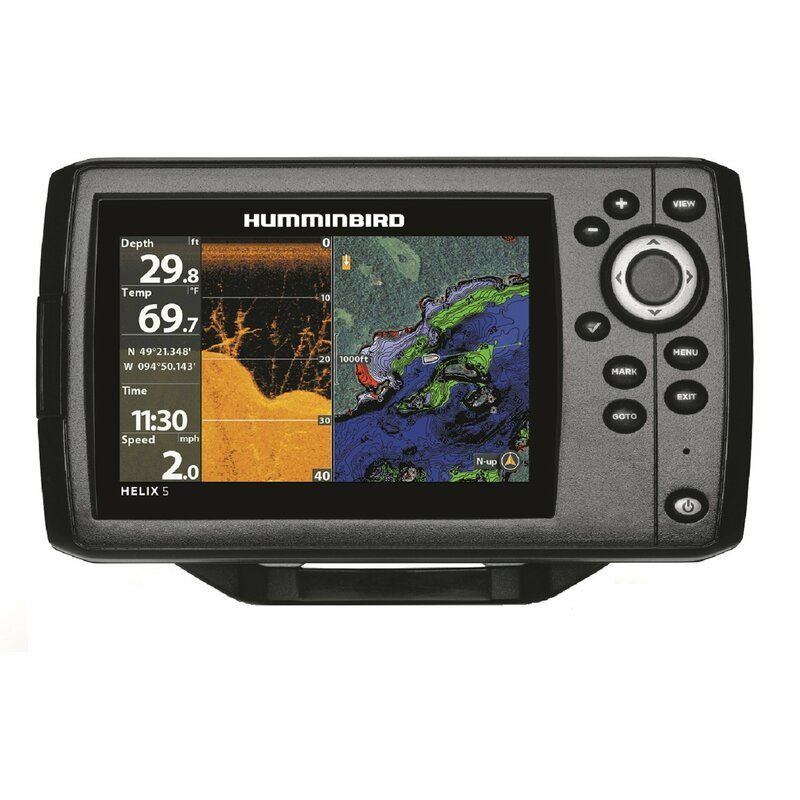 When used with the compatible spread spectrum CHIRP sonar transducer (sold separately) the Garmin GPSMAP 527xs displays crystal clear sonar images. Anglers will be able to see target resolution and separation at incredible depths by using the spread spectrum technology. They will also be able to target certain species of sport fish by dialing into specific frequencies. For better fishing and safer navigation, signal noise can be suppressed at greater depths in order to provide an extraordinarily timely interpretation of what is beneath the surface. You can get a great deal on Garmin GPSMAP 527xs here. I upgraded from GPSMAP 541. I got the optional CHIRP transducer, that thing keeps the bottom at over 2000ft. I like this unit a lot, but I have concerns about flimsy plastic mounting bracket, doesn’t look like it’s going to last long. I highly recommend this unit. I got the cheaper, $99 transducer but the sonar works great. It can reach much deeper than the Lowrance I have installed in the dashboard. The GPS updates very quickly, I don’t see any latency, smooth display of boats movement. One of the best 5´´ units I have used so far. Sounder works great especially using Chirp on the additional Garmin Transducer GT23M-TM which is nearly as splendid as the TM150. Gps is much better than I´ve seen it on Lowrance and Raymarine machines . Highly recommended the Fishing Charts on the Garmin Bluechart G2 (vision) cartography that opens new horizons für exploring unknown fishing spots.